This illustration was on my backburner, to say the least. 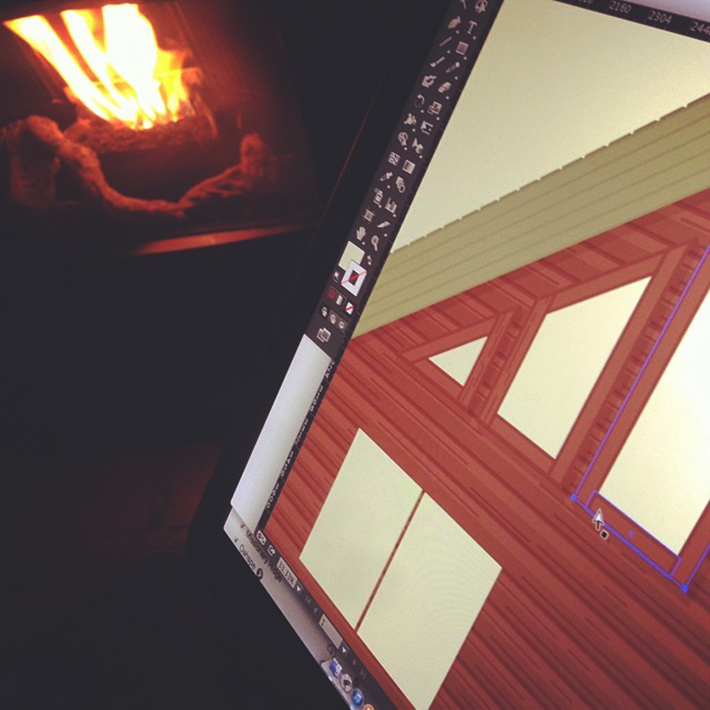 I began this passion project by the fire on my winter holiday. 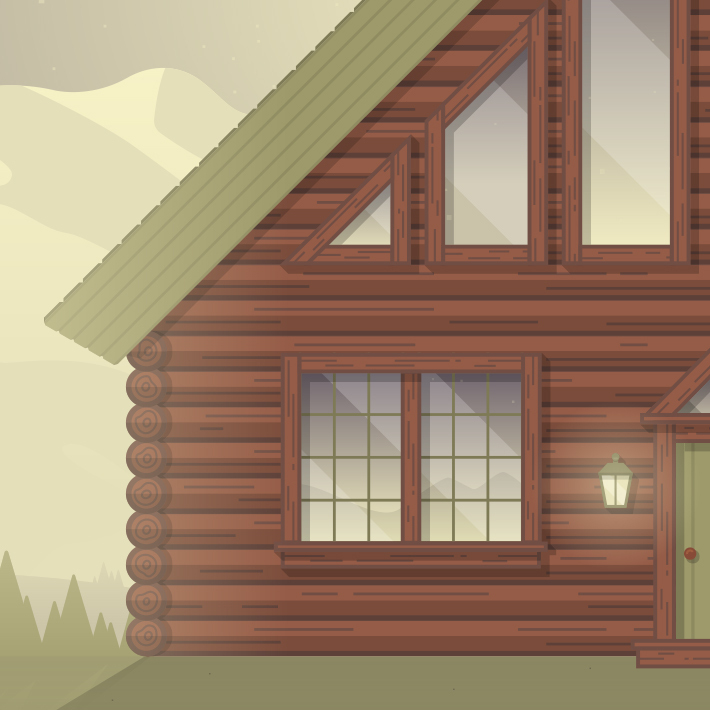 The cabin started to feel promising early on, but my attempts at finishing the environment fell short. I knew there was potential, but also that it would take one more push to take it to where it needed to be. It hung out somewhere on my to-do list for months. This past week I introduced some gradients the help sell the light source and highlight the subject. One little idea became the catalyst for my final push. Gradient shadows helped establish a sense of depth, and lighter gradients helped make the scene feel more cohesive and surreal.